Ah, November in Northeast Los Angeles: mosaic-hued black walnut trees, emboldened coyotes, the Arroyo Arts Collective 18th Annual Discovery Tour. NELA: where decay meets death meets drawing (and more). 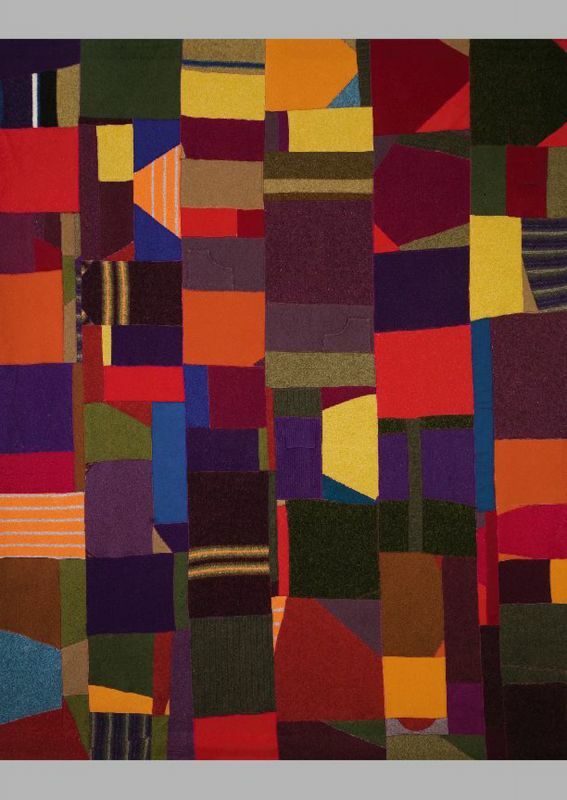 This year’s pre-Thanksgiving, art extravaganza has been dubbed “North by Northeast”, perhaps to firmly establish the geographic identity of the art-centric area that, after 100+ years of unflagging, creative activity, has suddenly been discovered by international publications such as The New York Times and The Financial Times of London. It’s good to be an overnight success. If you’ve never been on the self-guided-or-shuttle tour of artful neighborhoods such as Mt. Washington, Eagle Rock, Highland Park, Glassell Park, and Montecito Heights — or, heck, if you don’t even know where those places are — this is the year to check out NELA’s cultural hotbed so that one day you can remember your Northeast L.A. art epiphany with nostalgia. Go NELA, young man (and young woman). If you haven’t been on the tour in a while, the artistic and geographic landscapes have expanded; over 100 artists are participating this year. Check out what you’ve been missing so you can hold forth on the reeling-in-the-years changes over a microbrew at your favorite gastropub. And if you’re a regular on the tour, you know exactly what all the fuss is about and are probably smugly holding your ticket as you read this. Yes, we all wish we were you. The tour, which starts at the Lummis Home/El Alisal in Highland Park, is on November 21st, the Sunday before Thanksgiving. You, however, will want to preview art tour highlights and hobnob with the artists at the gratis bash this Saturday, November 13, at the Future Studio Gallery, one of the area’s original gallery pioneers. Just call them the NELA OGs. Tickets are $10 in advance; $15 on the day of the tour. Galco’s Old World Grocery, 5702 York Blvd., Highland Park. 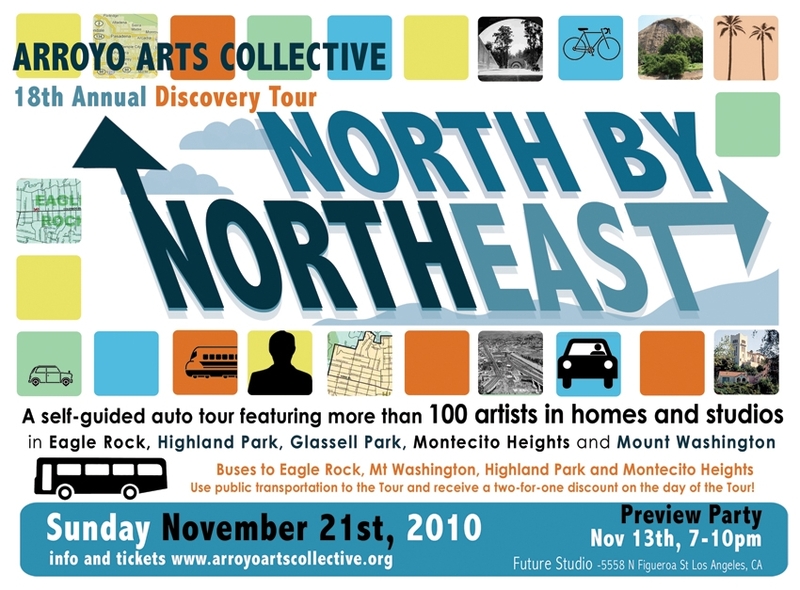 www.arroyoartscollective.org or call (323) 850-8566. Previous Post BLOODY RED HEART: For teens, it’s the new pink…. Next Post Harvest Beer Festival: Drink for Old Faithful. Artist Michael Reisman’s show of drawings at An Orange Door is mesmerizing and superb.